The President of the Spanish region of Murcia, Fernando López Miras, participated in the opening ceremony of Idea2019, the General Assembly that the Spanish Evangelical Alliance celebrated on 15-17 February. The young governor welcomed the participants to a meeting that, under the title “The transforming power of the small”, analysed the role of evangelicals in Spain, as well as the challenges they face and the opportunities to serve society. 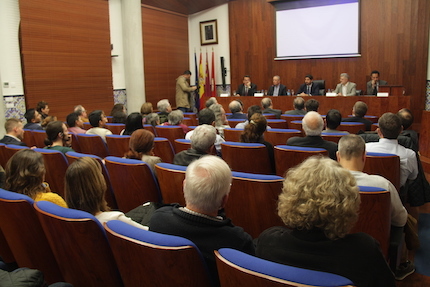 “I'm not here by chance, because there are no coincidences, everything has a purpose”, said Fernando Lopez at the Law Faculty of the University of Murcia, where one hundred people attended first day of the meeting. “Here we see the value of unity, the strength of working together, I am sure that it will be a very interesting place for reflection, because of the importance of religion in our lives, in all areas”, he added. The President expressed his sympathy for the evangelical group, emphasising his personal relationship with the President of the Evangelical Council of Murcia, Ángel Zapata, with whom he has met on several occasions. 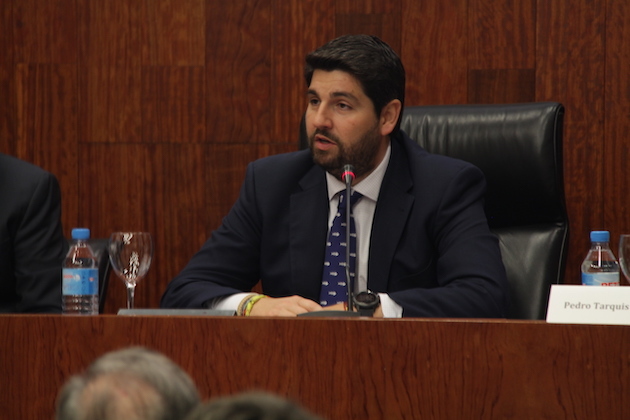 He highlighted the agreement that allows Evangelical Religion classes in the schools of Murcia since two years ago. “I commit myself to extend this education in the coming years, because, unlike others, my government does believe in the freedom of parents to educate their children”, he said. He also assured that “the agreement between the government and the Evangelical Council for religious assistance in hospitals”, will be signed soon. López Miras stressed the importance of values and personal faith, and also of showing them in the public arena and the personal relationships. He pointed out that “transcendence is important in a seemingly dehumanized world, dominated by a technological development. It is worth recovering values such as solidarity”. “I believe in people, I believe in this society. There are many of us who believe in the importance of religion in personal life and also in social life. Events like this are good news for the human being, because we are people who make Christian commitment a pillar of our life”, the President added. “This can change the world. People who honor the motto: the transforming power of the small”. According to López Miras, “we care too much about the opinion of the majority, but respecting minorities is more important”. “We are proud of the richness and variety that define us as a society, which every day hopes to offer opportunities for all. Equality among all, regardless of belief, race or political affiliation. We are willing to be the mediators”. The President also expressed his satisfaction for the evangelical presence in Murcia, which, as in the rest of Spain, is growing in the last fifteen years. “From a minority not always understood, you fight to make this region better. When you are known, when we share activities, we realize that if there were many evangelicals, this region would be better. I thank you for how you are”, said Lopez Miras. He thanked the Spanish Evangelical Alliance for developing the national meeting in Murcia and said he would follow the conclusions of the meeting with attention.